The Hayloft is a cozy and romantic retreat just two miles from the center of Mendocino. Warm and inviting, and decorated with style and comfort in mind. Set in the lovely and mysterious Pygmy forest,The Hayloft suite is a guest house to a main house but still private, quiet and peaceful. The living room comes equipped with a leather sofa, a reclining chair, a fireplace and an entertainment center. There’s a dining area, a kitchen and, in open-space style, the bedroom is “half-walled” to allow views of the fireplace and television. Several skylights bring in the sun and one of them directly over the bed provides a nighttime view of the stars and moon. Did we say anything about it being romantic? With luxurious and comfortable appointments, The Hayloft is decidedly not a hayloft. To see all photos and details visit our website. Please, no children, infants may be considered. The location was peaceful and beautiful. The accommodations clean and of much superior quality to most rentals in my experience. Charming Gem just outside of Town! 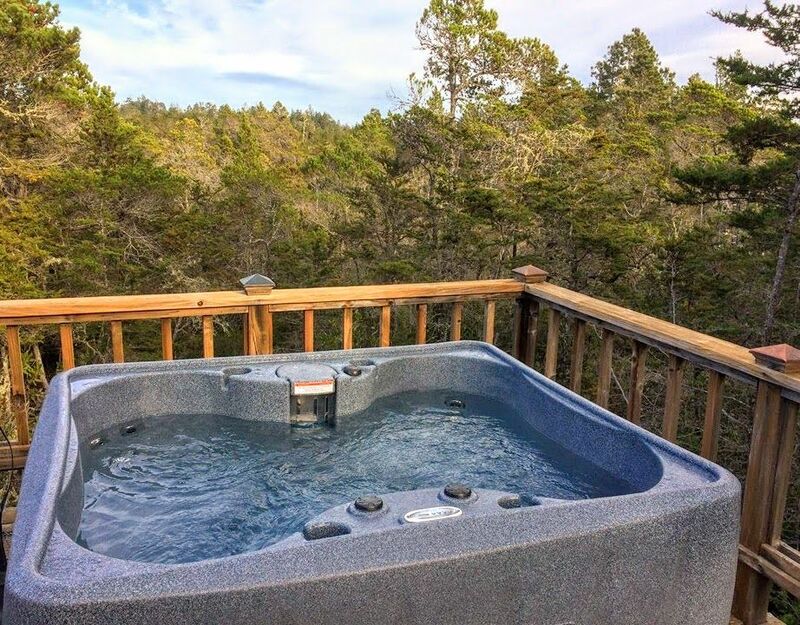 I was largely unaware of the Mendocino area until I began browsing rentals for a Christmas gift for my girlfriend. I ran across options in the area and was lured by the coast, Redwoods, wine tasting, brews and seafood. An escape with amenities. I must say, that was delivered and more, especially with the help of this location! For starters, I believe I snagged this place for an excellent rate; the location is a mere 5 minutes to town, 20 minutes to other attractions and just under 30 to several top notch Anderson Valley wineries. The Hayloft is a flat residing above a garage and features a deck and a balcony, a studio setup with a warm and cozy feel, but sparkling clean. The hot tub helped us to relax with a bottle of local wine beneath the stars after long hikes in the surrounding forest. The biggest surprise had to be the reception from the management company (Mendocino Preferred). There was no one on site, but the personal touches and care were present in every detail. We arrived on a chilly March night, but entered the flat to the comforting glow of soft lighting, and a warm fireplace roaring away. There was an instruction packet that outlined both rules and attractions around the area, including tide charts and trails! They evem left notes around the space informing us of odd quirks on how to open an older window or drawing our attention to the welcoming cognac! This location and management company combined for an awesome experience, and we certainly plan on returning to the area, and this location is at the top of our list. THE HAYLOFT IS PERFECT...COZY & ROMANTIC.. WE ENJOYED OUR STAY VERY MUCH AND PLAN ON RETURNING SOON ! We spent out 2yr anniversary here and had a great time! It has everything you need and is a stones throw away from town. Will definitely stay again! Great time in Mendocino. Close to town but secluded and romantic. Cozy fireplace and nice layout. Would def return! PLEASE NOTE the rates shown above do not include all fees and taxes. You can also see full rate details by clinking on the Detailed Price link on this page. The rates are based on the number of bedrooms needed. Please call us at 800-942-6300 for any questions or to make a reservation and to avoid any additional online charges. SPECIAL RATES??? YES!... NOVEMBER THROUGH APRIL Stay 2 or more nights, get an additional night FREE. Not available during holiday periods. For online bookings please note once you have completed the booking we will adjust the rental amount to include the free night and contact to confirm your reservation.